The Piccadilly Theatre opened 27 April 1928 with a production of the musical Blue Eyes, starring acclaimed actress Evelyn Laye. It was briefly taken over by Warner Brothers and used as a cinema. It premiered the first talking picture in Great Britain (The Singing Fool). After the theatre reopened in 1929, it produced productions of The Student Prince and Folly to be Wise, which ran for 257 performances. 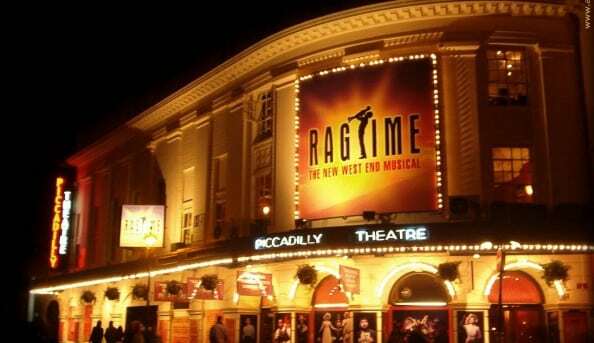 The theatre was converted into a cabaret restaurant and reopened under the new name the London Casino. Its lavish stage shows would come to an end when a stray German bomb hit it during the Second World War. 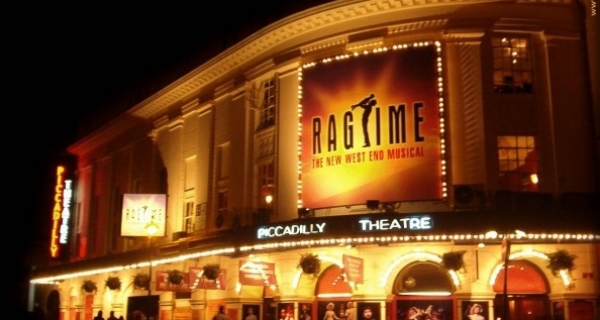 It reopened under its original name in the early 1950’s following renovations and became a theatrical venue once more. The 1960’s and 70’s saw the London premieres of Who’s Afraid of Virginia Woolf?, A Streetcar Named Desire, and Man of La Mancha, as well as playing host to The Beatles when they recording songs for the radio program From Us to You. 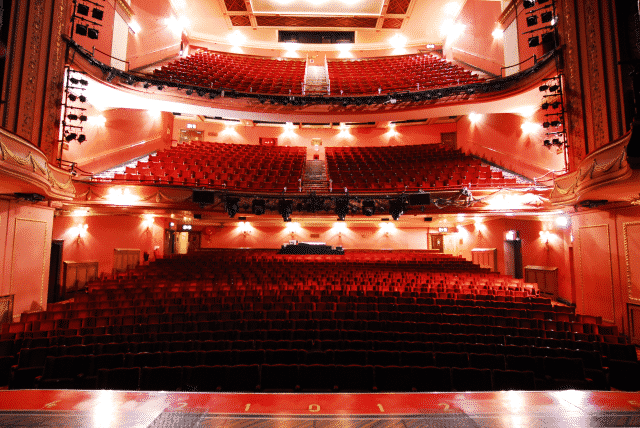 In 1986 theatre was the venue for the variety show Live From the Piccadilly. Recent productions have included Matthew Bourne’s Swan Lake, Grease, and the Donmar Warehouse’s production of Guys and Dolls. NCP Denman Street, Brewer Street. MasterPark Poland Street. Soho, Trafalgar (Q Park scheme). An adapted toilet is available in the Royal Circle.